Oysters are amazing. If you’re like me, and love the cold, salty taste of fresh oysters, know that our desire to consume them is not new. Oysters were a dietary staple for Native Americans and then for early European settlers, who described the abundance of oysters along North America’s coasts as navigational hazards. At first, oysters were easy to collect from shallow coastal waters. But as harvesting increased, hand harvesting gave way to boats and mechanical dredging in more remote locations. Today, over-harvesting is the primary reason oyster reefs are now the most imperiled marine habitat on Earth; some 85 percent have disappeared over the past two centuries. But it’s not their taste that makes me say oysters are amazing. It’s what they do for our coasts and estuaries—and ultimately people—that makes them amazing. Oysters grow together, and collectively, they form reefs, which serve as critical habitat. 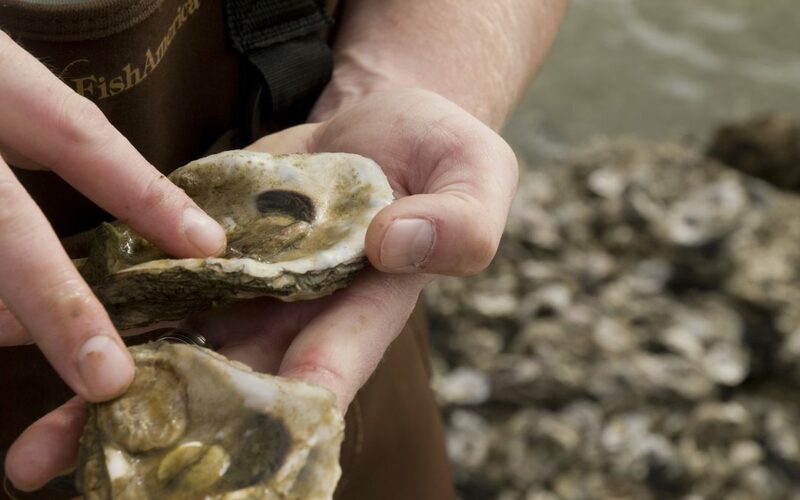 Historically, oyster reefs played a major role in the function and health of our coastal bays and estuaries. First, oysters—as they feed—act as water filtering machines that improve water quality and clarity, which promotes the growth of seagrasses that also serve as an important habitat type. And if you like fish—whether catching or eating them—oyster reefs provide essential habitat for fish to feed and grow. 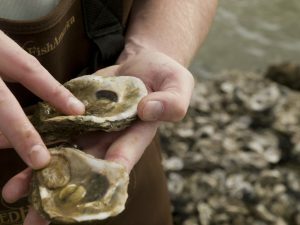 It’s for these reasons that The Nature Conservancy is working to restore oysters. Working alongside partners and nearly 20,000 volunteers, we’ve helped reestablish oyster reefs along the Gulf of Mexico, the Atlantic Ocean and the Pacific Ocean with the aim of restoring the benefits, or ecosystem services, they provide for people and nature. Matagorda Bay in Texas was once home to over 40,000 acres of oyster reefs—more than enough to fully filter all the water in the bay. Today, only a fraction of that habitat remains. The Conservancy and its partners began plans and preparations to restore oysters at Half Moon Reef in Matagorda Bay in 2006. Construction began in 2013. Since then, the partners have restored more than 54 acres of oyster reef habitat at Half Moon Reef, and have monitored the results closely. Our answer—yes. The Conservancy is working with NOAA to do just that for salt marshes and seagrass, which can help improve water quality, protect shorelines and provide critical habitat for wildlife, including fish, shrimp and crabs as well as shorebirds and land animals. The original version of this post appeared on TreeHugger.com.